The very first time I ate these dumplings were in my mom’s kindergarten where the cook makes delicious, from scratch meals every day. 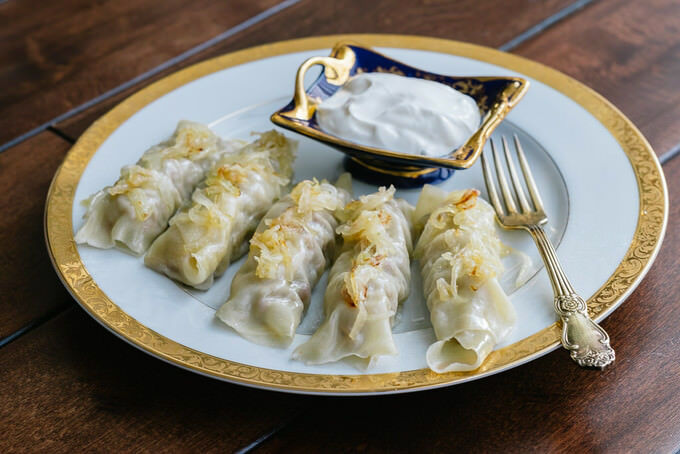 Although I have heard of Hamir Hasip (in literal translation it would mean Dough Sausage) before, as it is an Uzbek dish, it was never made in our house. When I tried them for the first time, I really fell in love with their simple but delightful taste. These beef dumplings do not have a big variety of ingredients in it, which, in my opinion, make them appealing to little children. You can certainly dress them up with a spicy or sweet chutney, sour cream or plain yogurt. I like to enjoy it with a little bit of caramelized onions in ghee, sour cream and a side of pico de gallo.